The Plaza Gift Voucher is the perfect gift that you can purchase with confidence knowing that from 1 to 101 there will be something for everyone at your local Plaza Super Cinema and Variety Theatre. 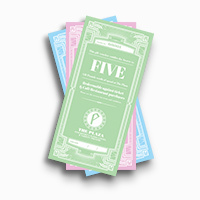 Our gift vouchers, which start at £5 can be redeemed against all of our Big Screen and Live Stage presentations as well as for a delightful indulgence in the Plaza Café. 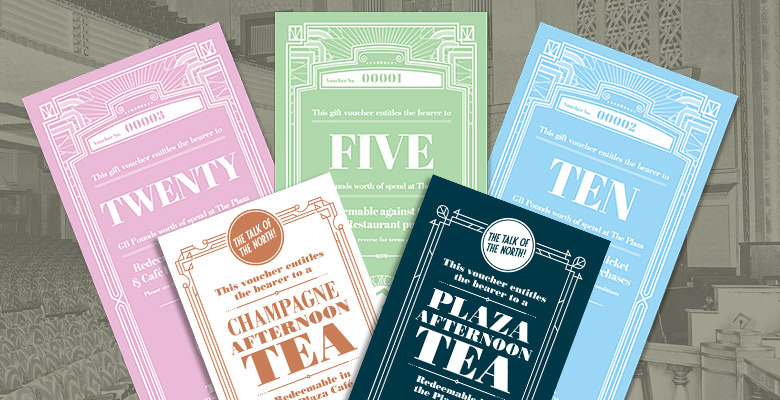 For the perfect treat, gift vouchers are now available for our popular Plaza Afternoon Tea and Champagne Afternoon Tea. 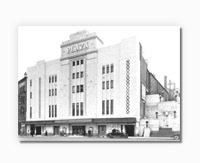 Not only are you giving the perfect gift to a loved one, friend or colleague but your purchase of one of our Plaza gift vouchers ensures that you are helping support our Charitable Trust with our commitment to serving our local community and restoring and maintaining our Art Deco gem. For details contact the Plaza on 0161 480 3818 or buy now via the Paypal links below. 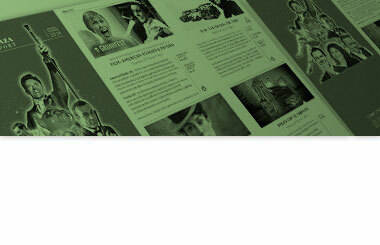 With a standard postal charge of £2 per transaction (within the UK) we will send your merchandise promptly. 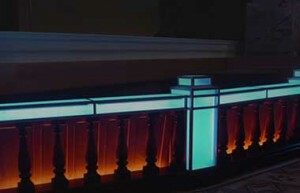 For international orders please email ted.doan@stockportplaza.com prior to placing your order as an additional shipping charge may apply. Featuring a vintage image of the Plaza, this gift card is the perfect accompaniment to our range of gift vouchers. 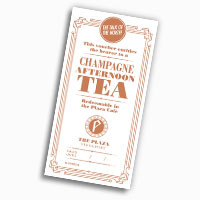 Our delicious Plaza Afternoon Tea with a chilled glass of Champagne, the perfect indulgence for a loved one to enjoy in the elegant Art Deco Plaza Café. 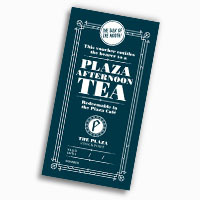 Treat your loved one to a sumptuous Afternoon Tea of finger sandwiches, homemade scones and cakes in the Art Deco surroundings of the Plaza Café. 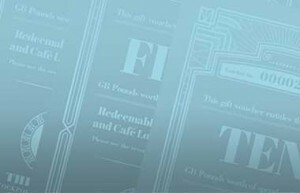 Our gift vouchers can be redeemed against all of our Big Screen and Live Stage presentations as well as for a delightful indulgence in our Café Restaurant.